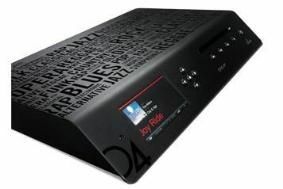 BRISTOL SHOW 2010: Olive 4HD music server to go on sale | What Hi-Fi? Visitors to the Bristol Show will be able to hear the Olive 4HD in action in the Fatman/Roth demo (Suite 10A) at the Marriott Hotel over the weekend of February 26th-28th. And if you want to buy one, you'll be able to order one at the show. In a separate announcement, Leema Acoustics has said it will use Bristol as the launchpad for new products in its entry-level Spectrum Series of electronics. And if you're in the market for a wireless way to stream music from your iPod/iPhone to a speaker dock, then check out the RX1 wireless audio receiver from WireFreeHiFi, designed to work with the Opera S5T wireless transmitter.